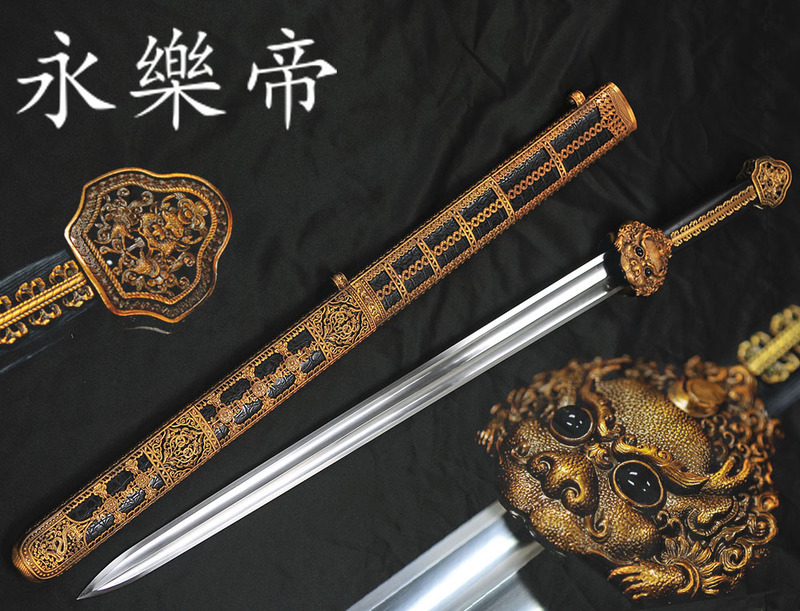 With over 2,500 years of continuous history - the story of the development of the Chinese sword over many dynasties and eras is a rich one. 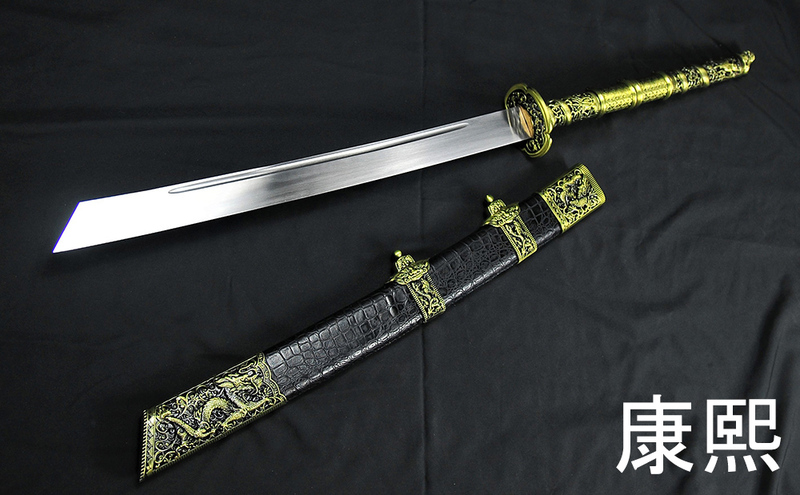 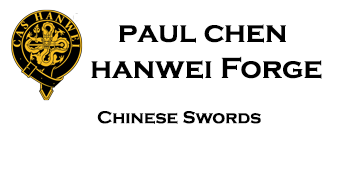 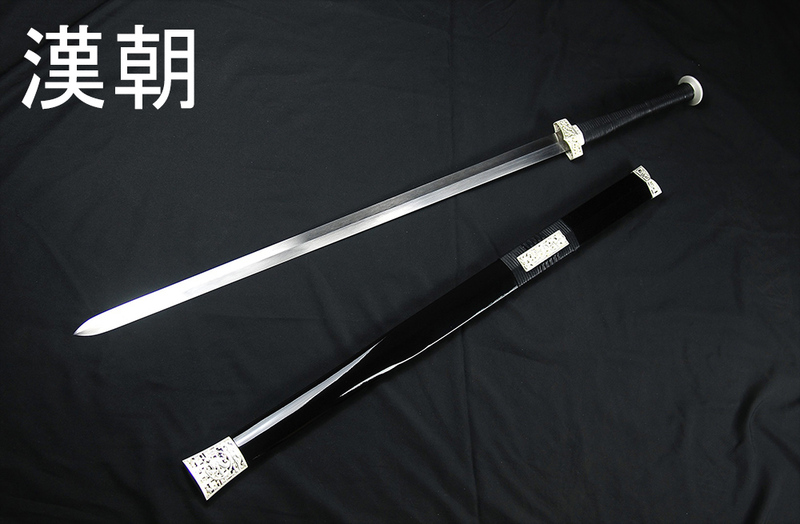 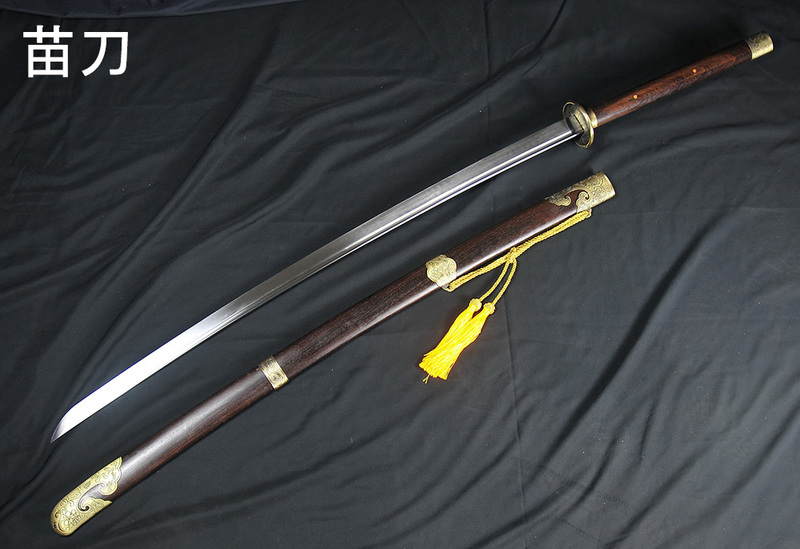 Here, we tell the story in steel - from early Han Dynasty Jian to Horse slaying two handed monster swords. 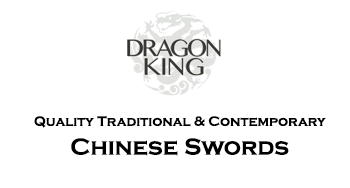 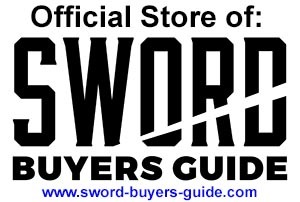 Again, our selection is not the biggest around, just the best - be it for Kung fu training, backyard cutting or as a collectible heirloom..
Amazing Value - Fully Functional Hand Forged 65MN Spring Steel Blade - Massive Sword nearly 5' long..
Amazing Value - Fully Functional Hand Forged 65MN Spring Steel Blade - lighting fast handling. 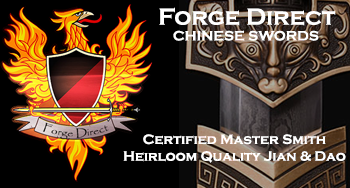 Amazing Value - Fully Functional Hand Forged 1060 Carbon Steel Blade and Ornate Brass Plated Fittings.